On 2 December 2015, the Government of Bahrain announced that the editors-in-chief of Bahrain’s six daily newspapers had reviewed and agreed to a new “Charter of Press Ethics” with the Ministry of Information Affairs Authority (IAA). Spearheaded by the Information and Parliamentary Affairs (IPA) Ministry, IPA Minister Isa bin Abdulrahman Al Hammadi stressed that the charter seeks to uphold press freedom and the press ethics of “honesty and objectivity.” Furthermore, it represents a “pledge” to ensure Bahrain’s daily newspapers are upholding the “highest interests of the nation and the citizens…while rejecting division, fanaticism and hatred calls.” King Hamad bin Isa Al Khalifa lauded the charter as playing a “crucial role” in “enlightening” public opinion of the social, political, and economic issues facing the country. The editors who signed the charter were Anwar Moh’d Abdul Rahman of pro-government Akhbar al-Khaleej; Isa al-Shayaji, of government-aligned Al Ayam; Yousif al-Binkhalil, of pro-government Al Watan; Mu’nis al-Mardi, of government-aligned Al Bilad; Abdulmun’m al-Meer, of Al Naba’; and Dr. Mansoor al-Jamri, of Al Wasat—the last official, quasi-independent newspaper in Bahrain. The charter ostensibly seeks to support national unity, end media incitement against any particular sect in the country’s media, and preserve “national security and stability in order to serve the national interest.” If applied to pro-government media outlets, the charter could check pro-government newspapers’ incitement against Bahrain’s Shia population that has continued unchecked since 2011. If the government’s past actions are any, however, the charter will instead be used to further censor non-government aligned newspapers. Perhaps more worrisome, the charter places responsibility for any violation of the ethics code on the editor-in-chief himself. Thus, should any paper be found “offending religious beliefs or moral values or defamation or discrimination against individuals or groups in society,” the basis of which remains subject to the IAA’s discretion, the editor in question will be held in violation of the law. The charter also bans the publishing of any content that could “prejudice the interests of Islamic, Arab, and friendly states,” largely limiting journalists’ ability to criticize any country the government deems an ally. The charter could be the first in a new series of limitations on free press in the country. Earlier this month, IPA Minister Al Hammadi called for the government to take legislative steps to codify press ethics and “upgrade the press and media message” according to the “directives” of the king through a draft law. Al Hammadi’s call likely refers to the draft media law that the Cabinet approved in September of this year, which would further limit free expression countering the government’s narrative of events. The draft media law would require journalists to “respect the kingdom’s sovereignty, system of governance, icons, institutions and statutory bodies,” thereby further criminalizing criticism of the government. 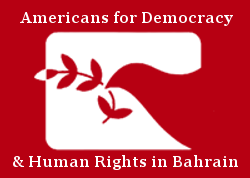 The Charter of Press Ethics in Bahrain represents another step towards the full criminalization of dissent in Bahrain. Notably, the charter seemingly codifies the 2012 Press Code of Ethics released by the Bahraini Journalists Association, and provides yet another mechanism to censor the country’s limited independent press. By holding newspapers’ editors accountable for maintaining the government’s narrative, the charter represents an implicit threat to both the editor in question and journalists at large. The IAA’s track record of punishing journalists and newspapers that do not toe the government line, and the continued jailing of journalists under the country’s expansive counterterrorism legislation indicates that the Charter represents merely another tool for the government to wield in its campaign against free speech. Kate Kizer is the US Advocacy Officer at ADHRB.